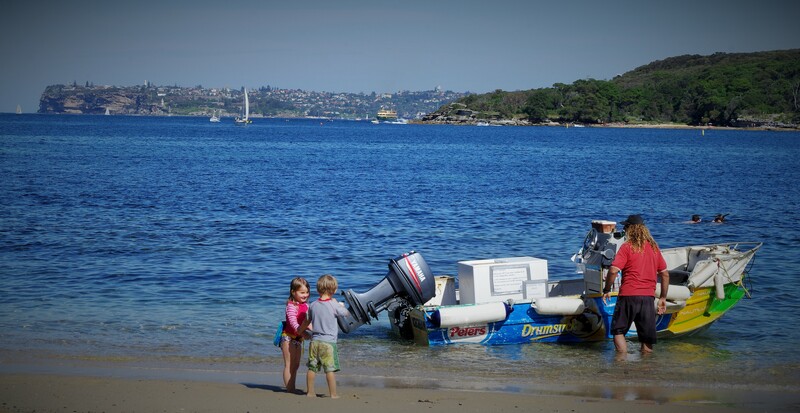 Writing about our visit to Fairlight Beach is an exercise of memory. If I wrote something at the time I’ve lost it and it’s now August 2014. April 2013 feels like a lifetime ago in so many ways but I do remember the day. It was hot. We had Mitch’s parents’ car while they were on holiday. 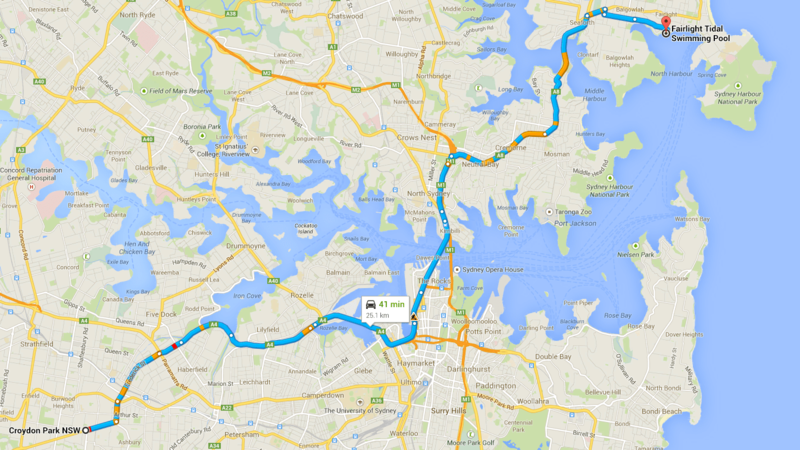 We collected Sabra from her flat in Balmain and drove to Fairlight. We found a car park almost immediately. As we walked down to the beach Sabra’s then-fiancé-now-husband, Pietro, rang from Italy. They spoke in Italian and catching a few words I felt my study of the language wasn’t entirely a lost cause. The beach was crowded. The sand was hot. A tap at the back of the beach was broken and gushed fresh water wastefully. Anita, who lives nearby, joined us. The man with the ice-cream tinny arrived and we got cold treats. We girls swam. Was Mitch thinking of how to get out of this marriage as he sat on the beach? Or did he merely stare at the glistening blue harbour blankly? If I asked I think he’d say “I don’t know” and maybe that would be true. Perhaps we shouldn’t meddle too much with our memories by applying later knowledge to rearrange the stories we’ve saved. We weren’t on the beach long, an hour or so – but I think it was good. I remember it as having been good. 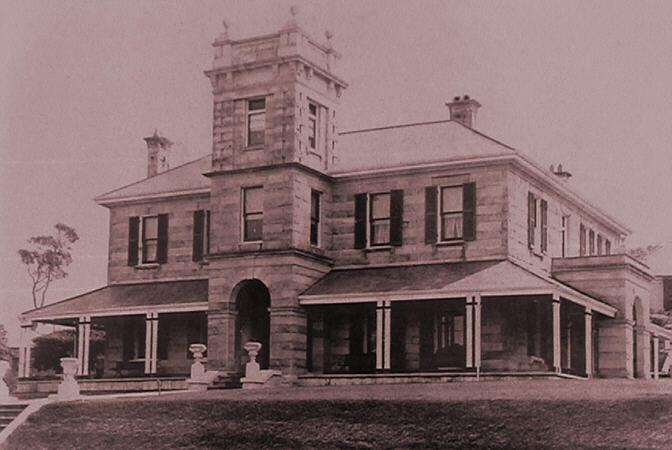 Fairlight is named after Fairlight House which was built by Henry Gilbert Smith on land he bought in 1853. The house was named after a village in Hastings, East Sussex, on the south coast of England. The house is long since gone. 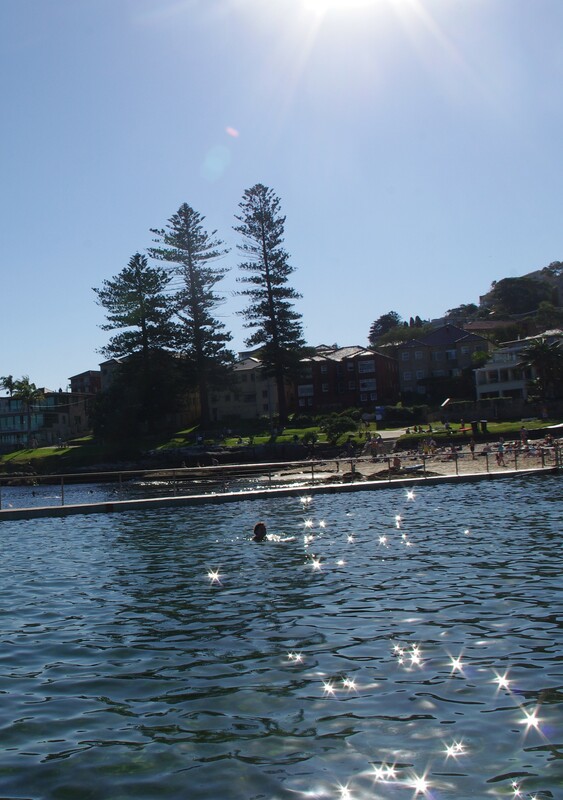 Fairlight Beach is a harbour beach in the Manly Council LGA, the State Electorate of Manly (Mike Baird, Liberal) and the Federal Division of Warringah (Tony Abbott, Liberal). It is som 25.1 kilometres (15.6 miles) from home.